(Natural News) Humans are inherently social beings, but not all people do well in social situations. There are those who have a condition known as social anxiety, which is characterized by an intense fear of being judged by the people around them. Like other mental health disorders, social anxiety can also be disabling if left untreated. Since anxiety is a condition related to brain function, most people treat it with anti-anxiety medications but many of these drugs have been associated with unwanted side effects. Fortunately, therapy, diet, and supplements also work in remedying social anxiety without causing any harm. More than 15 million Americans have been diagnosed with social anxiety, which can greatly affect the way they live their lives. This condition can arise due to negative experiences, like bullying and abuse, or it could be caused by physical abnormalities. The brain regulates the different brain functions through the use of neurotransmitters, which are chemical messengers that transmit signals between neurons and cells. In patients with social anxiety, there is an overproduction of the neurotransmitter serotonin, especially in the amygdala. This neurotransmitter works by regulating mood and excessive amounts of it in the amygdala can increase fear response and anxiety. Studies have shown that higher levels of serotonin can cause a greater feeling of anxiousness. Cognitive behavioral therapy — Patients who undergo cognitive behavioral therapy are taught to change their negative perspective of social situations. This is done with the help of professionals who address issues regarding poor self-esteem, guilt, or embarrassment by teaching patients to be more assertive and to be more realistic about perfection. Psychodynamic therapy — Similar to cognitive behavioral therapy, psychodynamic therapy aims to change the patients’ perspectives on social situations as well as of themselves. However, this is done by addressing past experiences, which may cause irrational fears and emotional conflicts. Tapping — Tapping, also known as emotional freedom technique, is similar to acupuncture. However, instead of using needles, the pressure points are stimulated using finger pressure. The pressure points that are targeted triggers endorphin release and stress reduction. In addition to these, tapping also relieves muscle tension. Previous studies have shown that tapping is as effective as cognitive behavioral therapy in treating anxiety, depression, and post-traumatic stress disorder. Meditation — Chemical imbalance experienced by patients with social anxiety can be restored through meditation. This technique works by increasing the production of gamma-aminobutyric acid (GABA), which inhibits too much excitation in the brain. Meditation also reduces chronic stress, which worsens social anxiety, by inhibiting the production of the stress hormone cortisol. GABA supplements — As previously mentioned, increased GABA levels can help improve social anxiety. Aside from meditation, GABA production can also be increased by taking herbs like passionflower and valerian root. These herbs are just as effective as oxazepam, a common anti-anxiety drug. N-acetylcysteine supplements — Glutathione is a powerful antioxidant that has been linked to improved social anxiety and other mental health disorders. According to previous studies, supplementing a person with N-acetylcysteine, which is a derivative of glutathione, effectively reduces anxiety by promoting glutathione production. Magnesium supplements — Insufficient magnesium intake has been associated with anxiety and depression. Magnesium is involved in various cellular functions so taking more of it can improve conditions like anxiety, depression, sore muscles, sleeping problems, and chronic stress. 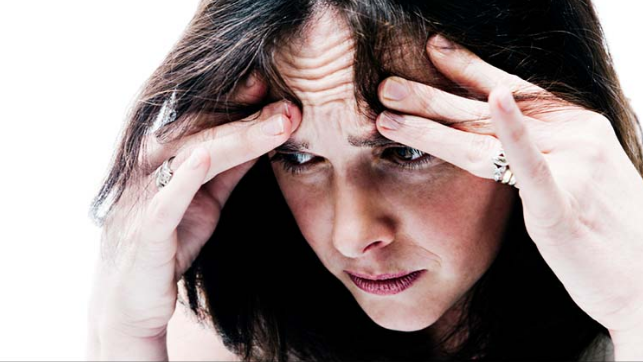 Learn of other natural remedies for anxiety by visiting Mind.news today.